Waterproofing camera gear - A CAUTIONARY TALE! Long Story short, Video transmitters do not like water, they also do not like corrosion X. Liquid tape either... Cameras are equaly fragile. This is my dead gear and the result of an expensive and unsuccesful experiment. One day the landing may go wrong, and some have in the past. The results are usually a dead VTX/ camera which gets expensive. I used Corrosion X on 2 Vtx and they are both dead, they transmit a signal but no video or sound. ie no static on that channel but nothing usable either. The moral of the story DO NOT ATTEMPT THESE TECHNIQUES! what can you do?What DOES work? I put a bit on all the seams and where the wires exit and under the head of the bolts. Seems to work so far. For the Vtx, I treat it like an ESC and put long heat shrink and then once it's wired, has the antennae installed and you selected the right channel I seal the opennings with the same stuff. you can always cut open the heat shrink and remove the silicone later if you have to. It's not easy if you used the above epoxy tehnique. I decided to blow off the corrosion X off the gear and put them on a rice bean bag in a ziploc in the sun a few days to try to dry them off. 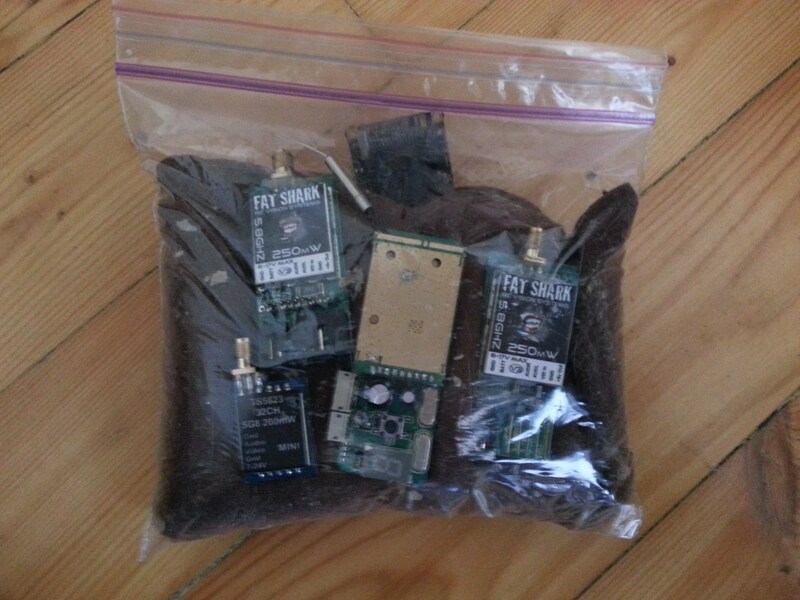 I plan to empty another air can on them and see if I can bring any of these 4vtx and 1 board camera back to life. I've successfully used plastidip on two boardcams. I'm in the exact same situation you are in. I fly over a lake which also freezes over during winter. I used epoxy on my vtx and haven't had any issue so far. Its been submerged for minutes while i go out to grab it, and has never burnt out. For the camera, i use a 420tvl fatshark camera. It is in a metal case so I never worried about the board part of it. When the camera gets submerged the lens fogs up and i have to wait a week or so until it is usable again.